I cycle past this very fine Robinia Pseudoacacia var. Frisia in Barnsbury on my way to work. It always gladdens the heart with its magnificent golden foliage. Not strictly a street tree this one as it is in a private garden, but it is most definitely part of the urban landscape rather than a garden tree. 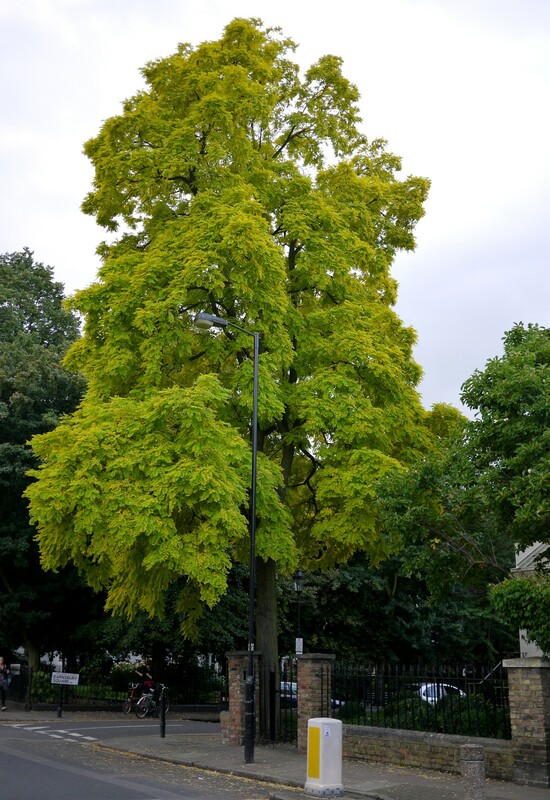 London has many fine Robinias which make attractive street trees although the ‘Frisia’ variety is less common. 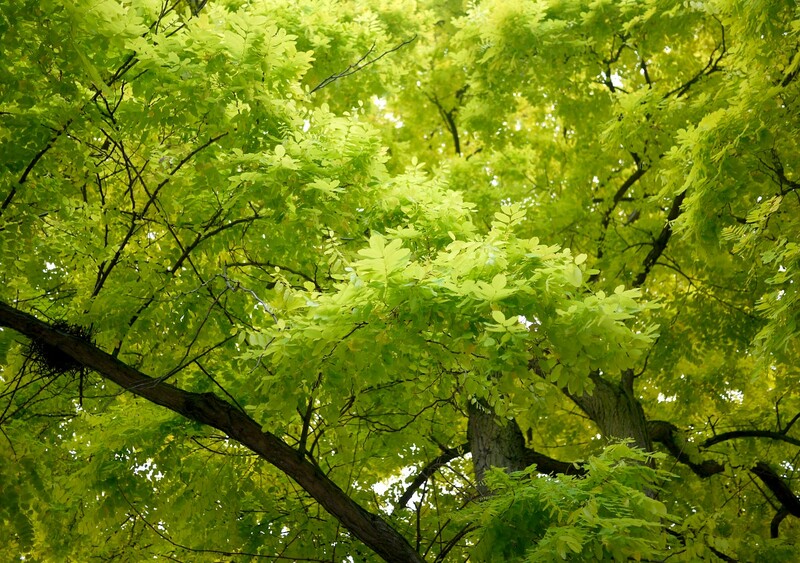 Robinia Pseudoacacia originates from eastern North America where it is known as the ‘Black Locust’, in the UK it is known as the ‘False Acacia’ and it’s widely planted and perhaps beginning to naturalise. In late spring Robinias have short-lived white flower racemes that provide an important source of nectar for honey bees. 2011 was a good year for the flowers – in London at least.